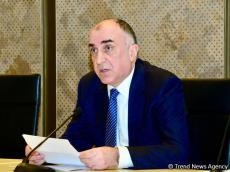 Azerbaijani Foreign Minister Elmar Mammadyarov has left for Latin America with an official visit, Trend reports referring to the Azerbaijani Foreign Ministry. The minister will visit Chile, Argentina, Uruguay and Paraguay. During the visit, bilateral meetings are planned to be held in these countries. The minister will participate in the High-level UN Conference on South-South Cooperation, to be held in Buenos Aires.